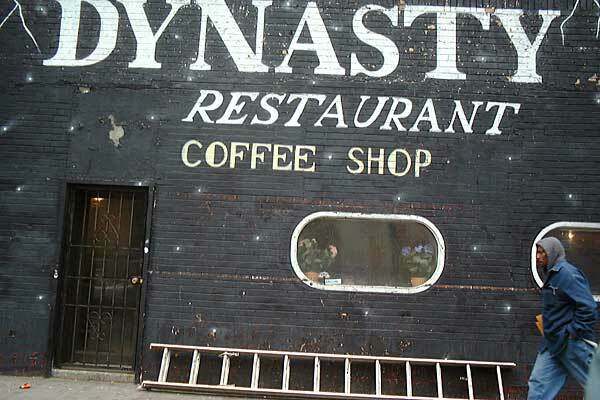 The Dynasty Coffee Shop has been in business at the corner of 14th St. and Ave. B since 1955! The present (June 2003) owner, Peter Vallianatos, has been there for 8 years. However, the sign above was painted out since this photo was taken Oct. 2002. The wall is now green and has no sign on it. The Dynasty features Greek and Italian specialities and has a long list of breakfast specials from 6 am to 11 am. Click here for the front page of their delivery menu.